As a dog parent, one of my worst nightmares is dognapping. As a result, I’m pretty obsessive about the safety of my own dogs, and I always worry about dog theft when I see dogs tied to bike racks and lampposts outside of coffee shops, grocery stores and other spots around New York City. So, what is dognapping? Why does it happen and are certain breeds or types of dogs targeted? How do you prevent it in the first place? What do you do if it happens to you? An abandoned dog. Photography by Shutterstock. An estimated two million pets are stolen every year in the United States. The American Kennel Club, which tracks instances of dog theft from their National Pet Theft Database, found a 31% increase in dognappings in recent years, with newly stolen dogs reported daily from communities across the country. Dognappings happen for many reasons and dogs may change hands multiple times after being stolen, which makes them even harder to locate. Thieves often steal dogs hoping to make money off of them. This might be someone looking to collect a reward, or something even more sinister. Intact dogs (canines that aren’t spayed or neutered) may be sold to puppy mills or backyard breeders, small dogs or dogs of popular, expensive breeds might be taken and resold, or dogs may be sold to dog fighting rings either as fighters or bait dogs. According to Pet FBI, some of the top small dogs targeted for cash include purebred Yorkshire Terriers, Pomeranians, Maltese and Chihuahuas, while Pitbulls, Boston Terriers, German Shepherds and Boxers fall victim to theft for dogfighting rings. In NYC, there has been a rise of dognappings of small dogs in return for cash. How do you keep your dog safe from dognappers? Unattended dogs are easy targets for dognappers. If you are running errands that aren’t dog friendly, leave your dog at home. Hopefully your dog never goes missing, but you’ll need to prove he belongs to you if he does. Microchip your dog, and ensure that your contact information is up to date with your microchip company. Thieves could remove a collar and tags, but microchips are permanent forms of identification for your dog. Some dog guardians even use the advanced technology of Dog DNA tests to prove the identity of their dogs. In recent years, there have been several high-profile cases of dogs going missing while in the care of dog sitters — and never being seen again. Only hire responsible, insured and trusted pet-care providers and always check references before hiring a walker, daycare or sitter. Be very guarded with your dog’s information. Sometimes, dognappers will try to determine how much a dog is worth, and if they’re spayed or neutered before taking them. Deflect detailed questions from strangers — particularly about how much your dog cost. What do you do if someone steals your dog? Immediately call the police and your local animal control department. File a police report. Try to find any witnesses who might have seen the dognapping occur. This will help you and the police get information about who has or had your dog. Distribute current, clear photos of your dog right away. Search out local lost and found groups online and on Facebook. Social media sites like Facebook are instrumental in spreading the word about lost or stolen dogs. Don’t forget to contact your local media — newspapers, TV and radio — to try to increase coverage of your dog’s disappearance. People whose dogs are missing are vulnerable to being taken advantage of even further. I can’t even imagine how desperate I would be if something happened to one of my dogs — I would want to do everything and anything in my power to get them back. The Better Business Bureau warns pet owners to watch out for scam artists who demand reward money before they return the missing dog. For example, someone calling to say they are a long-haul truck driver who found your dog out of state and requesting money to get your dog back to your state, or someone saying they need money for airline tickets and a crate to ship your lost dog back. When Should You Call an Emergency Vet and How Do You Find One? Sassafras Lowrey is an award-winning author. Her novels have been honored by organizations ranging from the Lambda Literary Foundation to the American Library Association. Sassafras is a Certified Trick Dog Trainer, and assists with dog agility classes. Sassafras lives and writes in Brooklyn with her partner, a senior Chihuahua mix, a rescued Shepherd mix and a Newfoundland puppy, along with two bossy cats and a semi-feral kitten. Learn more at sassafraslowrey.com. 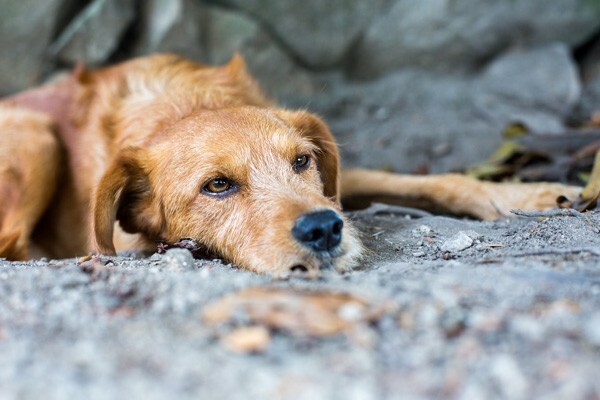 The post Dognapping: How to Protect Your Dog and Get Him Back If He’s Stolen appeared first on Dogster.